“I think that of all the delicious luxury food items, there is none that I would more readily splurge on than white truffles. Are they crazy expensive? Yes, but they are worth every penny. I can’t think of a more unique and intoxicating aroma than the first white truffles of the season,” says Chef Steven Samson. Samson’s love for the glamorous fungi is currently on display at his restaurant Sotto, where an omakase-style white truffle tasting menu is now being offered. The particulars of the four courses—plus dessert—change daily, depending on what’s available at the farmers’ market, but you can expect carne cruda (meat tartar), handmade pasta, Uova al Cirighet (eggs with sauce), and another main dish subject to the whims of the chef, who says he takes a “less is more” approach when cooking with truffles. “Why risk masking one of god’s most brilliant flavor creations?” asks Samson. 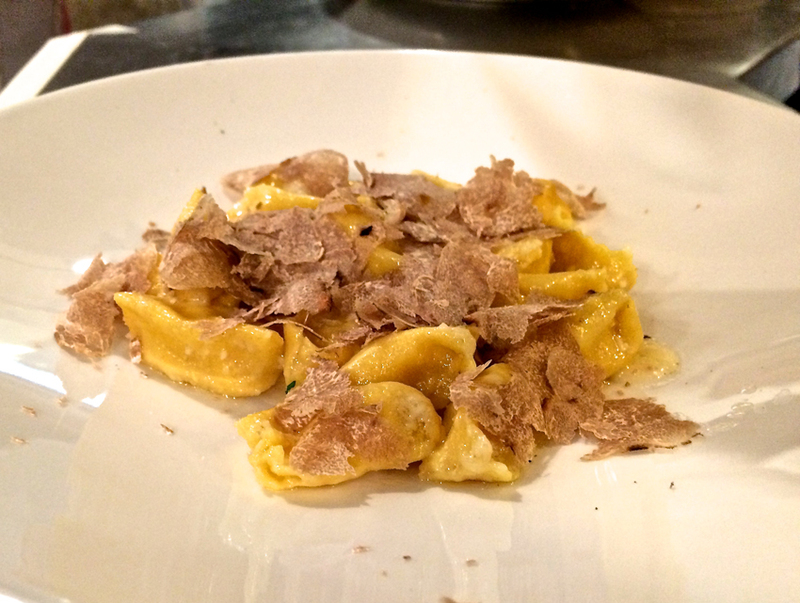 The tasting menu will only be available as long as the stubbornly short truffle season lasts. The price is $225 a head, which isn’t cheap, of course, but according to Samson, these truffles are pretty potent.